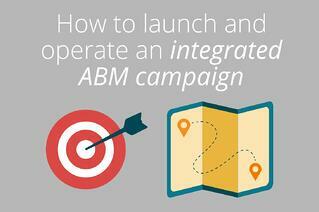 Account-based marketing may be the marketing approach du jour, but it also works. According to a survey by Alterra Group, 97 percent of marketers say that ABM had higher ROI than other marketing strategies. The best ABM strategies are driven by content and multi-channel engagement to attract and nurture prospects. They require careful planning and buy-in from across your organization. This e-book walks you through a step-by-step approach to launching and executing an integrated ABM strategy, so you can land and expand your most-wanted target accounts.